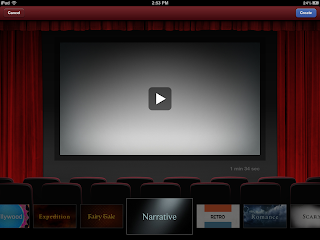 Home Unlabelled Movie Trailers for Your Classroom! Movie Trailers for Your Classroom! 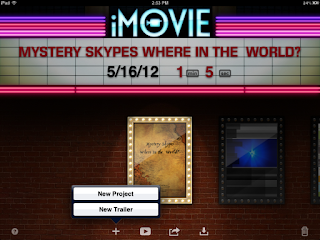 A couple of weeks ago one of our awesome 5th grade teachers, Mr. Luce (@5luce) showed me the movie trailer feature on iMovie for the iPad. I hadn't really had time to play around with it....until today. 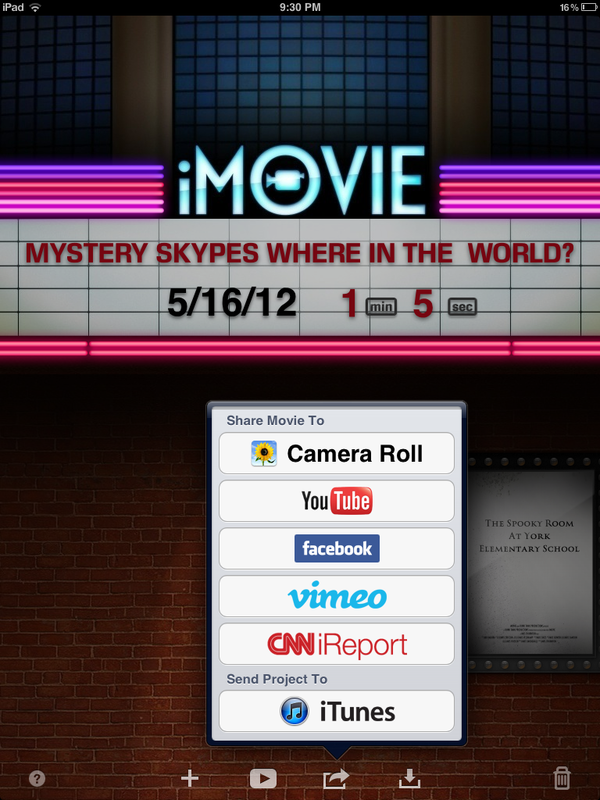 No, not really worthy of an Academy Award, but I thought this can and will be an amazing tool for your classroom! I only wish I had more time in the school year. 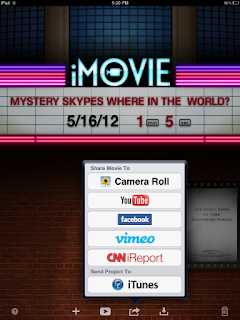 I can imagine student creativity and critical thinking exploding while using this feature of iMovie! The possibilities are endless! Click on the + Button and you can choose "New Project" or "New Trailer." Obviously, we are going to be choosing "New Trailer." 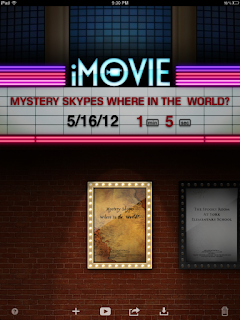 You can choose from nine different themes. Choices range from "Fairy Tale" to "Scary." If you would like to preview the theme, simply click on the play button after choosing your theme. Once your theme opens you will have to enter information for your outline. I love this feature! It is all set up, just click and add your information! 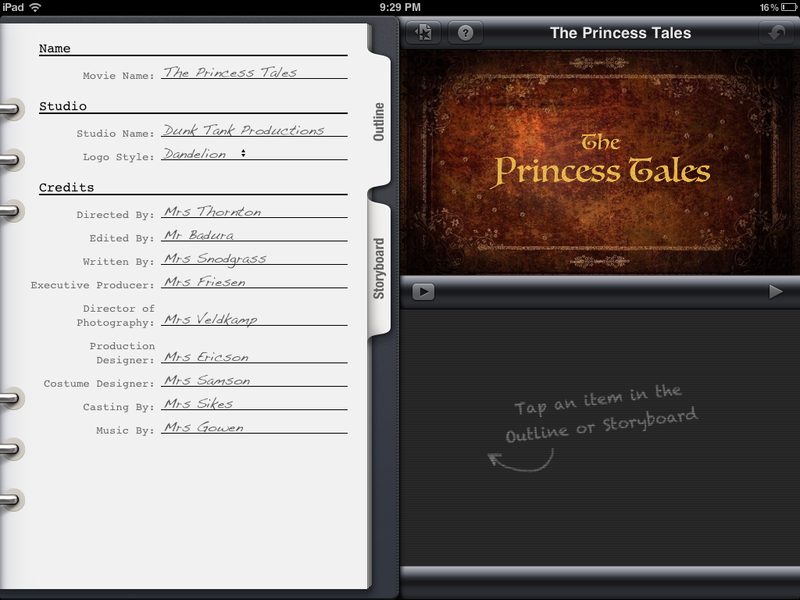 After you are done with your outline information, click on "Storyboard." There will be default titles, change them as you see fit. 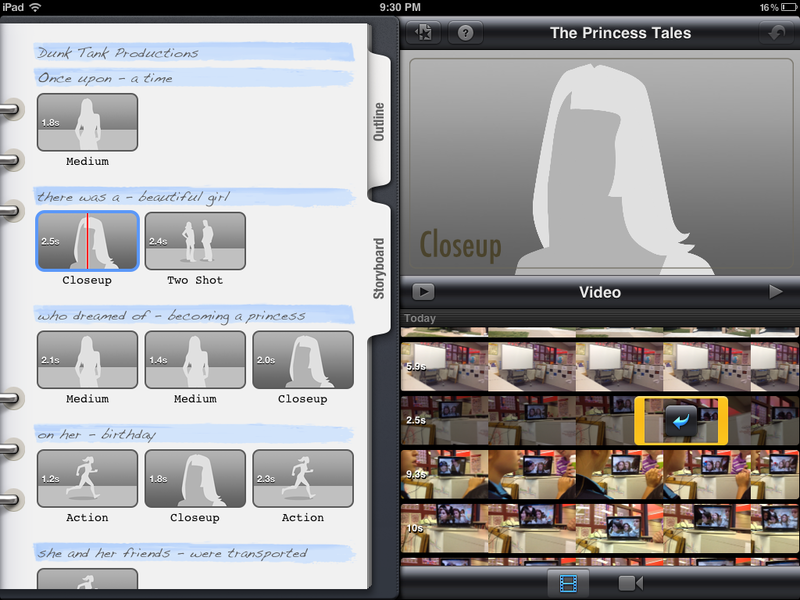 Then start dumping your video clips into the pre-fabricated storyboard that is waiting for you. 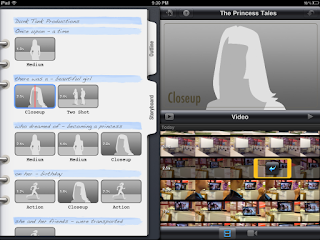 Once you are done with your Storyboard and Outline you can go back to your gallery. Click on the box with the arrow that is pointing out. I prefer to upload the completed media to our school YouTube page, but you have variety of choices to where you want to send your trailer.